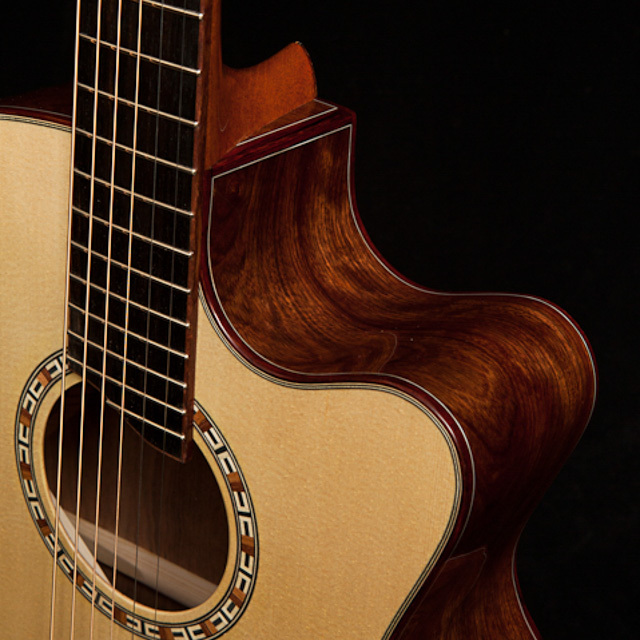 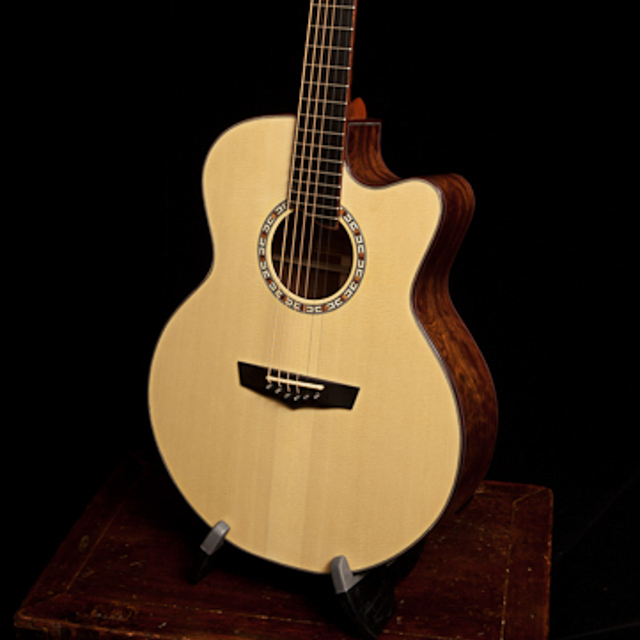 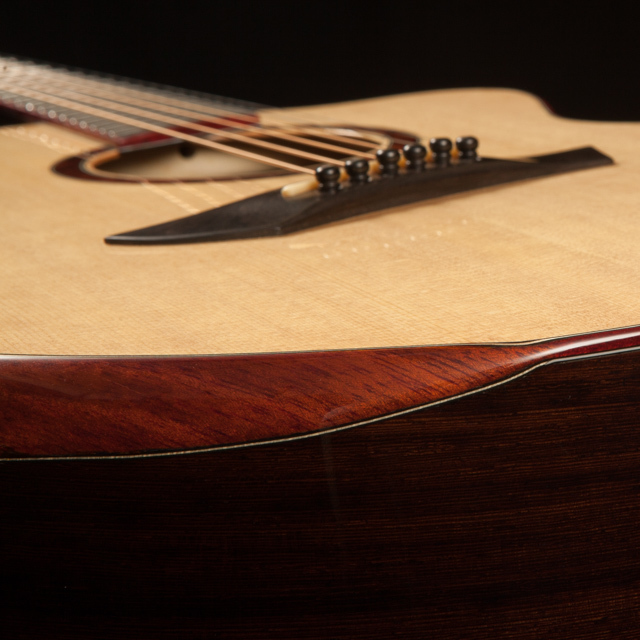 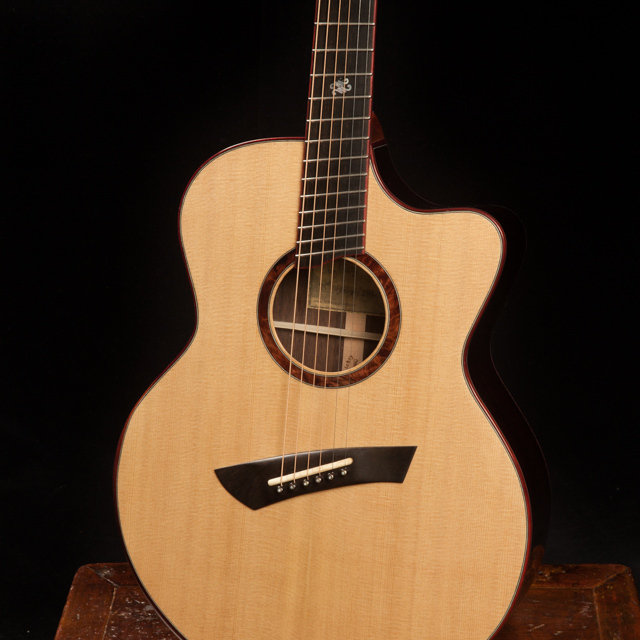 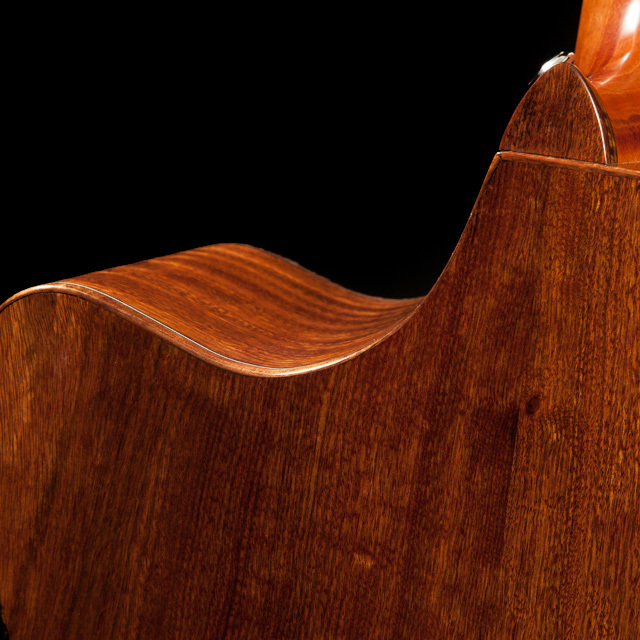 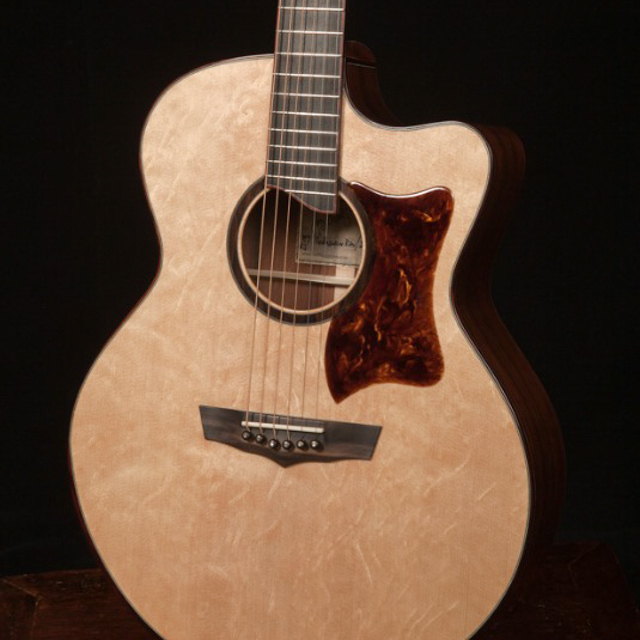 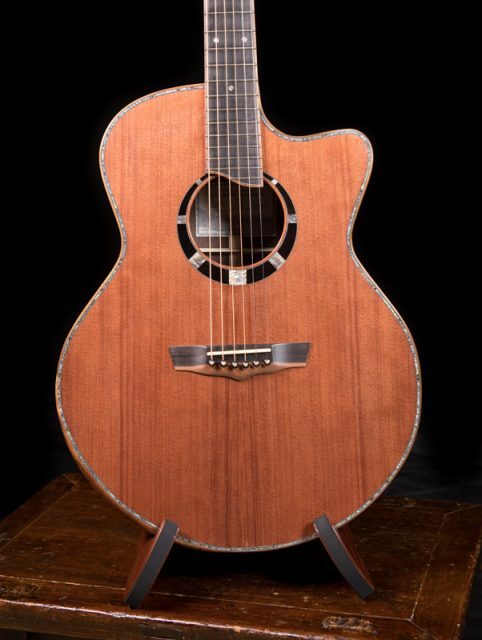 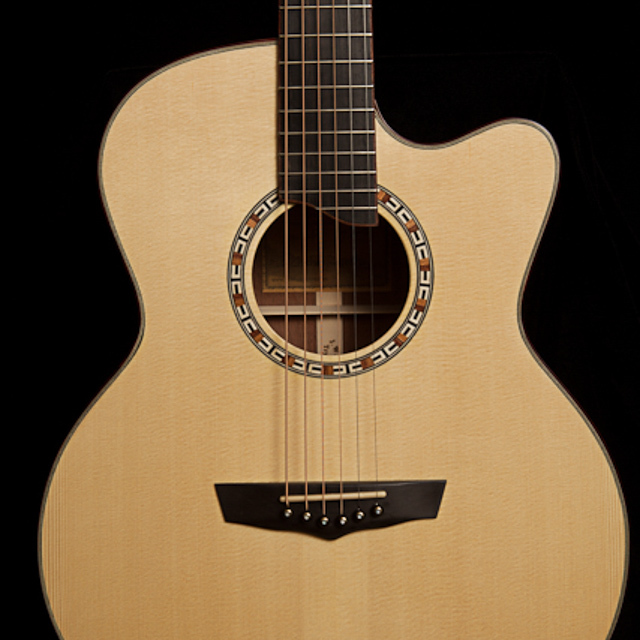 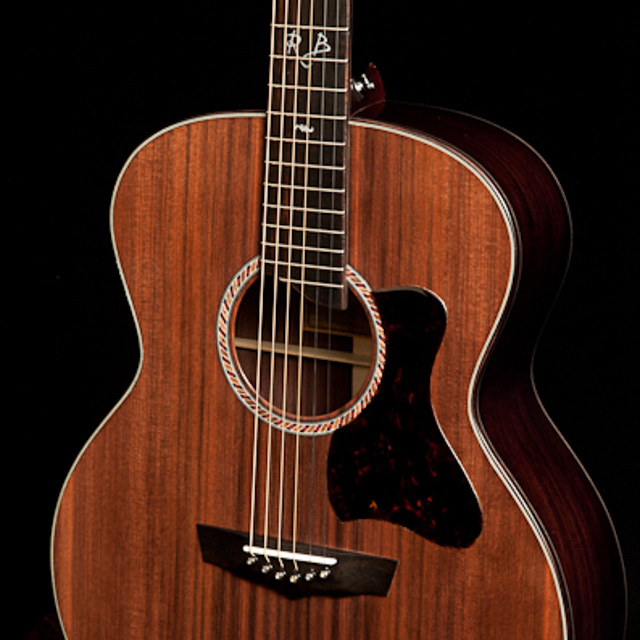 The small jumbo guitar is slightly deeper than an OM with more of a rounded bottom curve. 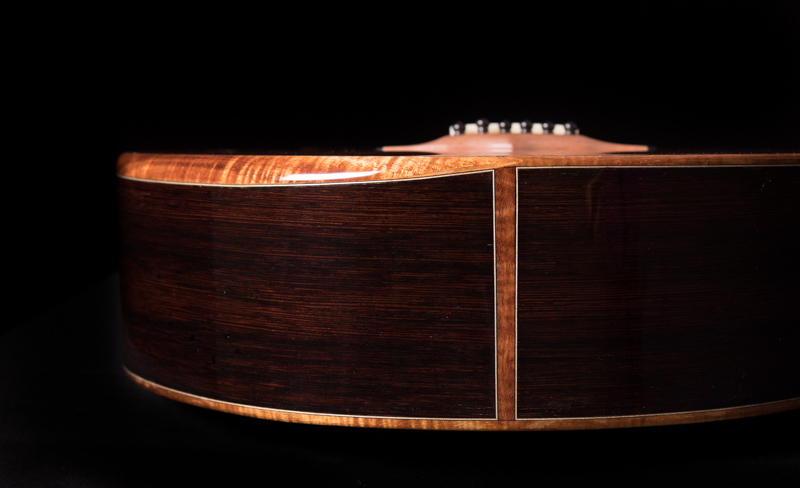 Jay followed his intuition (as he always does) when working up this design and it has been a real hit. 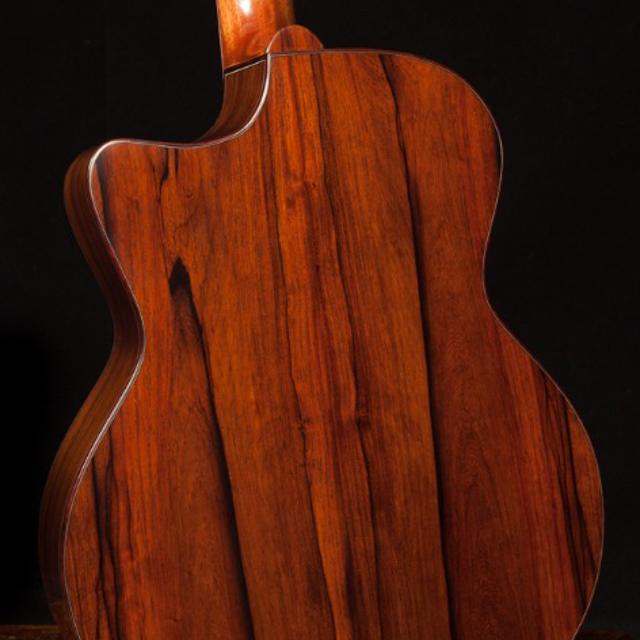 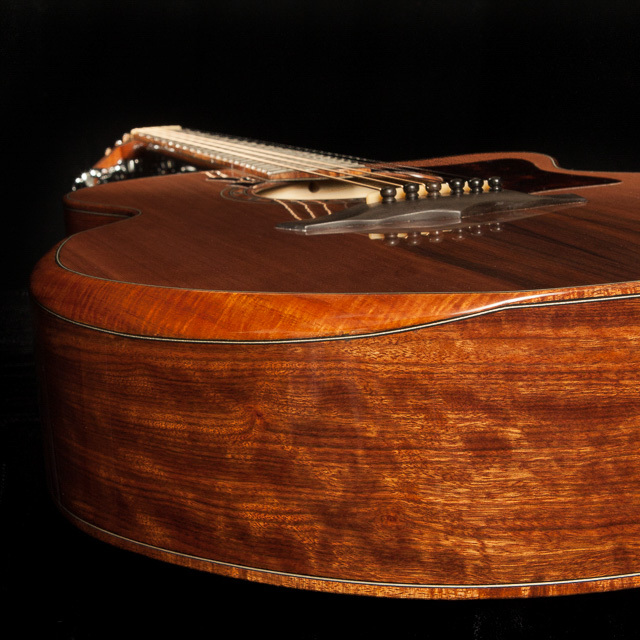 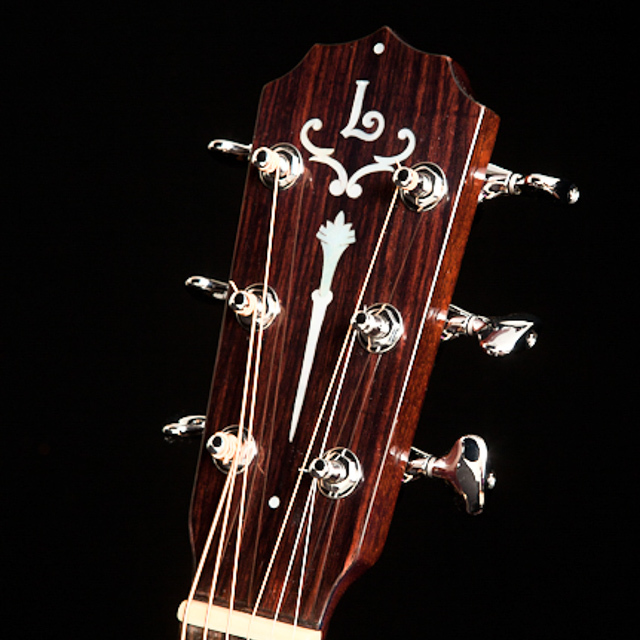 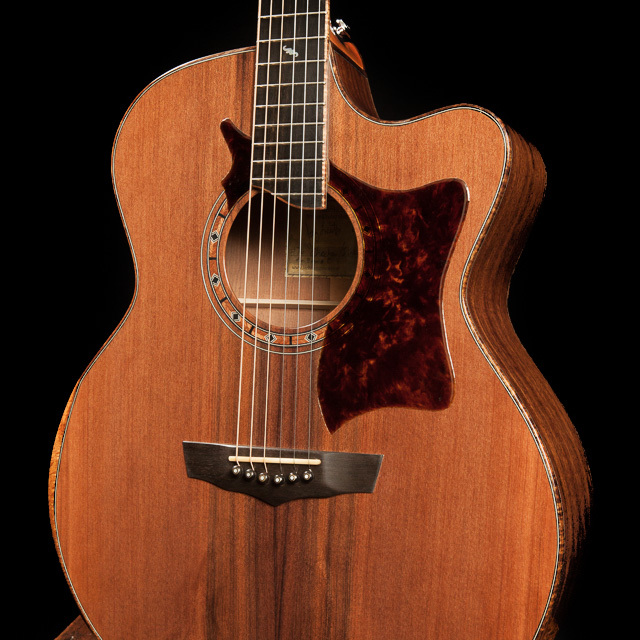 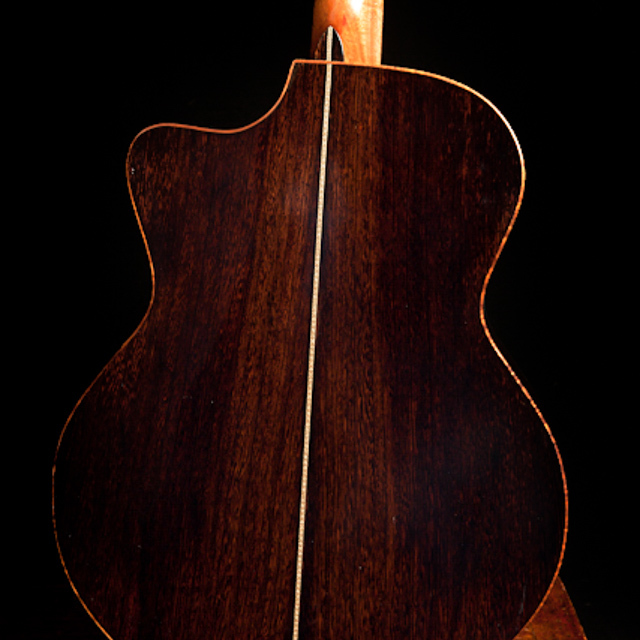 The first Lichty Small Jumbo Guitar he built was a custom instrument for singer/songwriter Randall Bramblett. 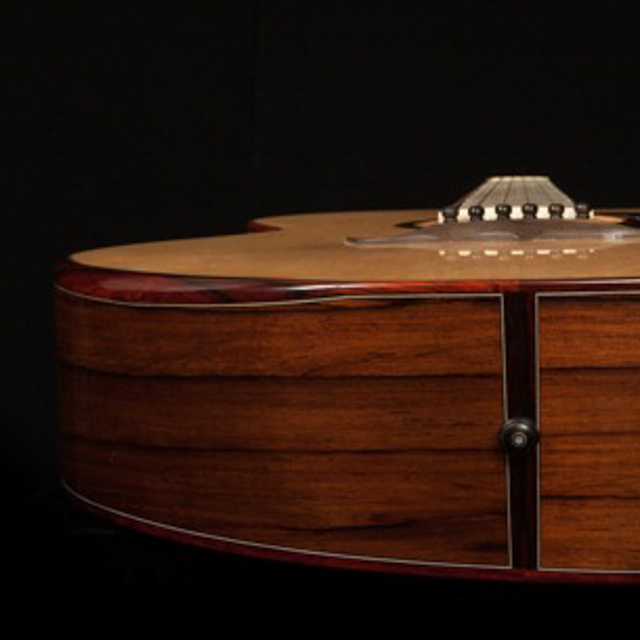 It is available with or without a cutaway and/or a wedged-shaped body.